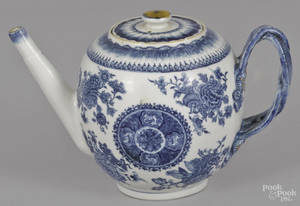 A Blue Fitzhugh Sauceboat, 19th Century. 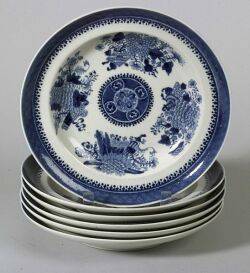 With matching underplate. 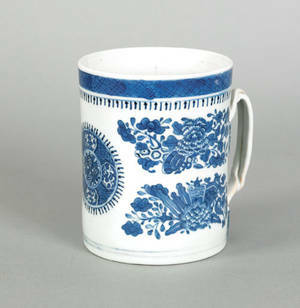 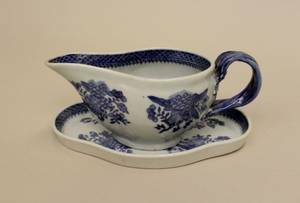 Sauceboat with floral decoration throughout including blue reeded handle. 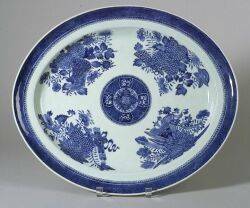 Overall height 3.5 inches, length of underplate 7.5 inches. 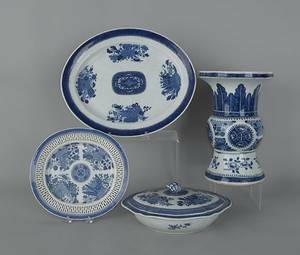 Archived auctions similar to A Blue Fitzhugh Sauceboat, 19th Century. 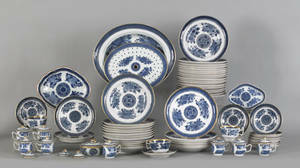 Four Chinese export blue Fitzhugh plates, 19th c.
Group of blue Fitzhugh porcelain, 19th c.
Group of Chinese export blue Fitzhugh tablewares, 19th c.
Two Chinese export porcelain blue Fitzhugh salts, 19th c.
Group of Chinese export blue Fitzhugh teawares, 19th c.
Collection of Chinese export blue Fitzhugh porcelain, 19th c.
Chinese export porcelain blue Fitzhugh teapot, 19th c.
Chinese export blue Fitzhugh mug, 19th c.